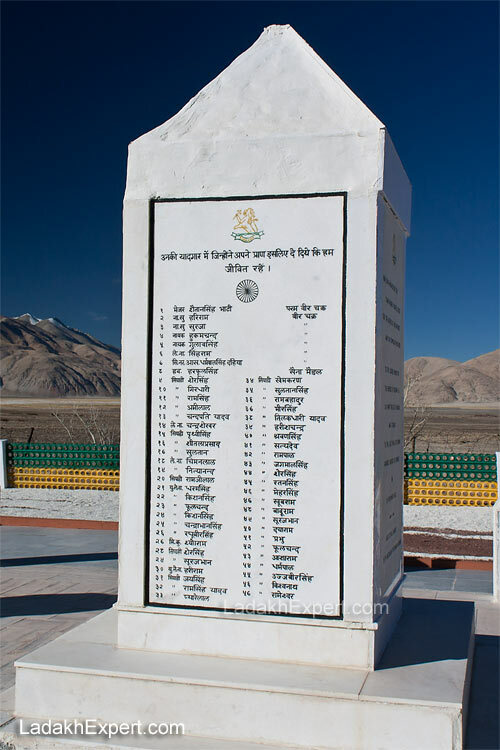 Rezang La War Memorial, located a few kilometers after the town of Chushul, was created in the remembrance of the brave soldiers of 13 Battalion of Kumaon Regiment, deployed under the leadership of Major Shaitan Singh, during the 1962 Indo-China War. 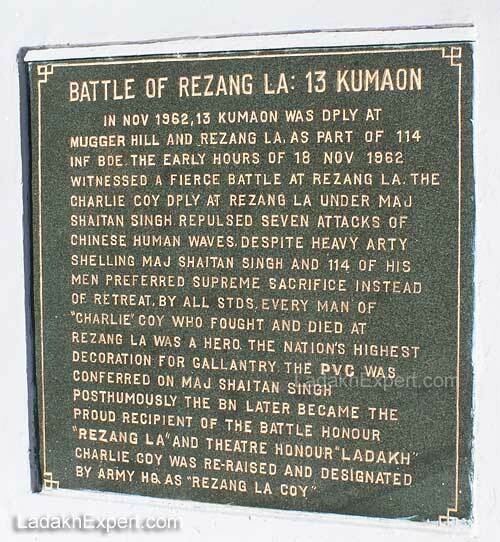 On the 18th November 1962, Major Shaitan Singh and his men bravely faced the onslaught of a much bigger and better equipped Chinese army, which was backed by heavy artillery fire. Major Shaitan Singh and his 114 men paid the ultimate sacrifice to protect the integrity, sovereignty and honor of India. As one enters this small tribute to the men who laid down their lives to protect ours and that of our families, one cannot help but be swept away by a surge of emotions, especially as one reads the names of the martyrs for the battle of Rezang La. 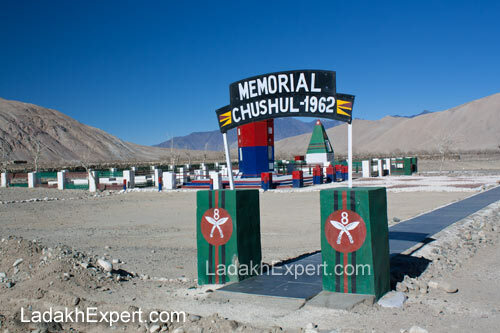 There is also a Chushul War Memorial, made to commemorate the sacrifice and bravery of Indian Soldiers from the Artillery Division in the 1962 Indo-China War. 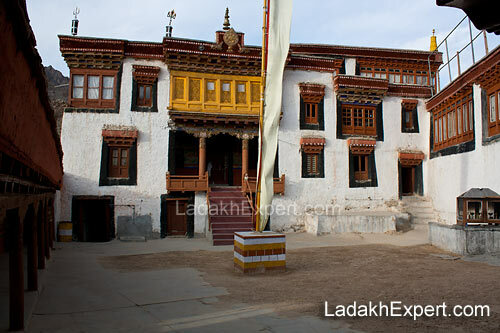 It is located half way between Chushul Village and Rezang La War Memorial. Getting there: Unfortunately, access to Chushul Village and Rezang La War Memorial is severely restricted, due its closeness to the Line of Actual Control (1962 ceasefire line between India and China) and permit for Indian Nationals are only occasionally issued by the DC Office in Leh, while foreigners are not even allowed on this route. 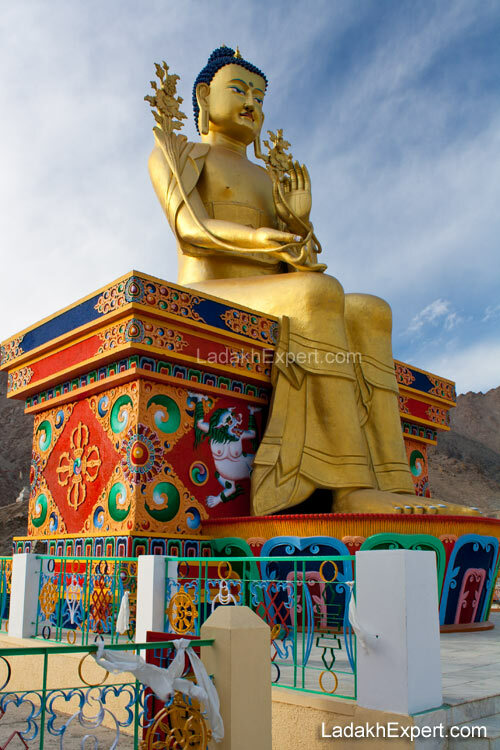 If you are one of the lucky few, who manage to get the permit for Chushul, then you can take the dirt road from Spangmik Village, which runs along the Pangong Tso and takes the following route, Spangmik – Man – Merak – Khalsar – Chushul – Chushul War Memorial – Rezang La War Memorial. Alternatively you can take the road from Mahe to Chushul, following this route, Mahe – Nyoma – Loma – Tsaga – Tsaga La – Rezang La War Memorial.